johnr1note, Author at John R. Russell, Ltd.
My mantra as an estate planning attorney is “Estate Planning is all about planning for everything you own and everyone you care about – including yourself.” It’s this last concept that is most often overlooked in the process — there is a lot more to think about when you plan for the future than what will happen after you die. What if you become disabled? How will your business affairs be managed? Who will take care of you? How will you be cared for? How will your intentions regarding health care and end-of-life issues be made known? Who and how will determine when you are disabled? Properly drafted durable powers of attorney for both property and health care will make sure these intentions are carried out, and help avoid expensive and difficult guardianship proceedings. A “power of attorney” is a document which allows you (as the “principal”) to name a person (an “agent”) to manage your affairs and act as your representative when a decision or action is required from a third party. They are referred to as “durable” powers of attorney because when the proper language is included, the agency survives the principal’s disability. So while POAs can be used to simply appoint someone else to, in effect, make decisions for you, these documents are usually reserved for the purpose of making sure the principal is cared for in the event he or she becomes disabled. Because POAs have been created by statute, I rely on that legislation to prepare the forms I present to my clients. Illinois’ Power of Attorney Act has a recommended statutory form for both the POA for property (allowing the agent to make business related decisions) and for health care (allowing the agent to make health care and treatments decisions). Indiana’s statute does not prescribe a specific form, but clearly lays out the kinds of legal powers that can be delegated through a durable power of attorney, either for general business purposes or for health care. I usually prepare estate plans when my clients are vigorous and healthy. They expect to live a long and fulfilling life. The estate plan therefore serves the same purpose as a life insurance policy – to plan for both the unforeseen and the inevitable. The POA is kept ready, in case disability strikes. In fact, when I draft powers of attorney relating to property or general matters, I usually include language that the agent cannot act unless proof of the principal’s disability (in the form of a letter from an attending physician) is produced with the POA. With both the doctor’s letter and the POA (which has been properly signed, notarized, and witnessed) in hand, the agent can approach the Bank or other financial institution and “do business” on behalf of the principal. 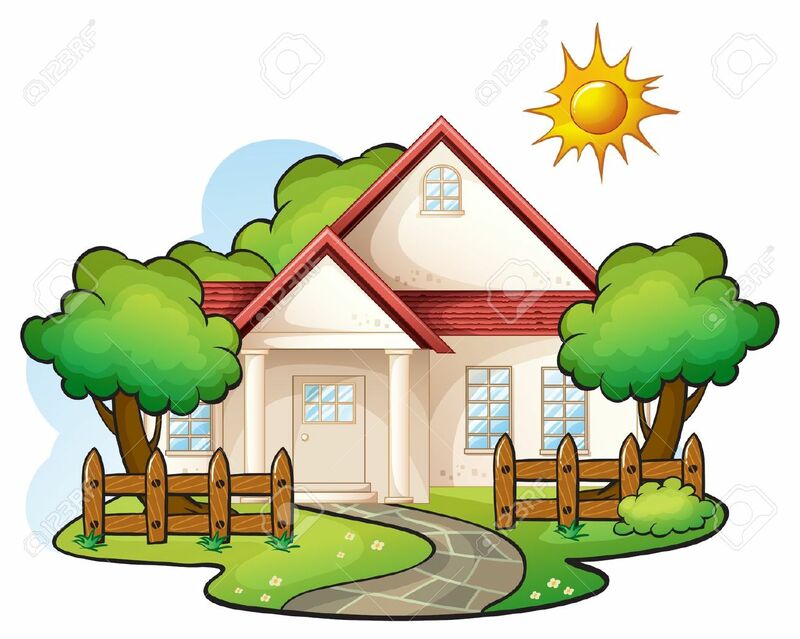 Recently, however, several clients have come to me complaining of problems connected with the use of a general/property POA for a disabled family member. The scenario usually goes like this: the Client drafts and executes the POA at a time when they are healthy. Many years pass; sometimes 5, 10, or even 20 years go by. Suddenly, the client suffers a sudden, debilitating condition that incapacitates them — a stroke, a heart attack, or a chronic disease. Because the client was prepared, the agent named in the POA (usually a spouse or adult child) already has a copy of the POA and springs into action, obtaining the necessary certification of disability from the client’s physician, and then takes that certification with the POA to the client’s bank. The bank, however, refuses to recognize the power or attorney. Despite the fact that the POA has been properly drafted, and the agent has produced what is necessary to prove his/her authority, the Bank will not allow the agent to access the bank accounts. The Bank will insist that the principal who signed the POA must come to the Bank in person to establish the agency relationship. If the principal is now disabled, this is impossible, creating a frustrating stalemate. 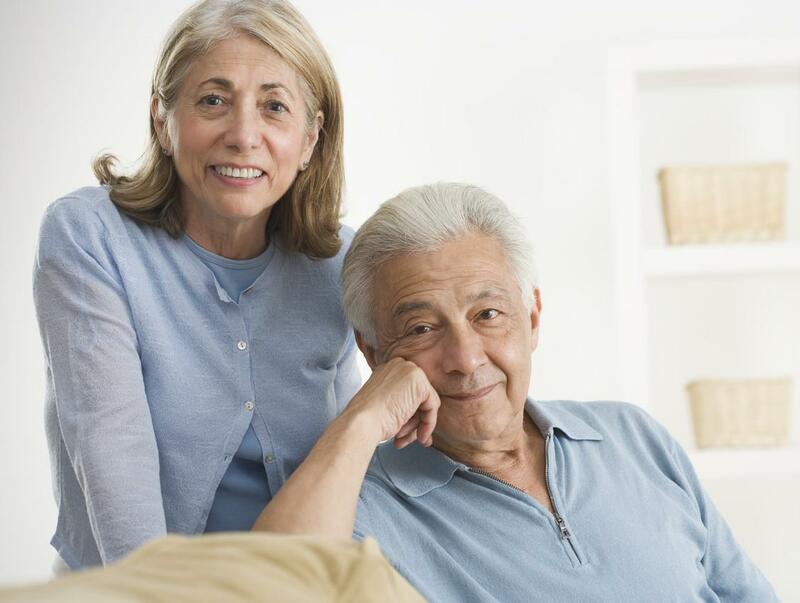 The purpose of the Illinois Power of Attorney Act is clear. “[E]ach individual has the right to appoint an agent to make property, financial, personal, and health care decisions for the individual but that this right cannot be fully effective unless the principal may empower the agent to act throughout the principal’s lifetime, including during periods of disability, and have confidence that third parties will honor the agent’s authority at all times.” 755 ILCS 45/2-1. The Indiana Code states the same thing more succinctly, declaring that a power of attorney drafted under that law is presumed valid. IN Code § 30-5-3-2. Therefore, a properly drafted and executed POA is legally binding on third parties such as Banks. An essential purpose of both the Illinois and Indiana Power of Attorney legislation is to fully protect third parties (i.e., people, financial institutions, healthcare providers, etc.) who rely on the agent and his/her authority, and release them from liability if they rely on a copy of the power of attorney in good faith and treat the agent as if they were dealing directly with a fully competent principal. 755 ILCS 45/2-8(a); IN Code § 30-5-8-7(a). A third party dealing with an agent named in a copy of a document purporting to establish an agency may presume to rely on the validity of the agency and the agent’s powers as reflected in the POA. 755 ILCS 45/2-8(c); IN Code § 30-5-8-7(c). A Bank or other financial institution that refuses to accept or rely on a power of attorney risks significant penalties because any person who arbitrarily or without reasonable cause fails to comply with the direction of a duly appointed agent in accordance with the power of attorney is subject to civil liability for any damages resulting from noncompliance. 755 ILCS 45/2-8(d). Indiana’s statute goes even further. There, a Bank that refuses to accept the authority of an agent under a POA “shall pay” three times actual damages, attorney’s fees and any prejudgment interest. IN Code § 30-5-9-9(a). Therefore, agents under POAs ultimately have the threat of litigation against Banks that blithely refuse to follow the law. The Bank does have one area where it can demand a certain level of verification from the agent. Both the Illinois and Indiana statutes provide that an agent can be required to certify, under oath, that to the best of their knowledge, the principal had the proper capacity to execute the POA, is alive, has not revoked, altered, or terminated the POA, and that the POA remains in full force and effect. Just like for its POA forms, Illinois has a statutorily prescribed from for this purpose. 755 ILCS 45/2-8(b). The Indiana law has no form, but provides for the same concept. IN Code § 30-5-8-7(b). An affidavit to this effect should be sufficient for a Bank to rely on the agency. The Illinois act emphasizes that “good faith reliance on a document purporting to establish an agency will protect the reliant without the affidavit.” 755 ILCS 45/2-8(a). The Indiana statute says that “[a] copy of the power of attorney has the same force and effect as the original power of attorney if the attorney in fact certifies that the copy is a true and correct copy.” IN Code § 30-5-8-5. Therefore, it should not be necessary to produce the original document. It might be worthwhile to include additional information in this affidavit. For example, if a spouse of the principal is the agent, it would be helpful for the certification to state that the spouse and the principal are not involved in a proceeding for legal separation or divorce. Also, if the power of attorney requires a physician’s certification of the principal’s disability, the agent should state that the triggering event has occurred. These additions would make the certification more palatable to a bank or financial institution. Ultimately, a Bank that refuses to recognize a valid POA could be taken to court and made to comply, and pay for any damages the noncompliance caused. Perhaps the threat of such consequences might be enough to get the bank to cooperate. But a little forward thinking might help avoid the conflict in the first place. I am advising all of my estate planning clients to try and head off these issues. Even if the client is as young as twenty-one, or at any other age where they do not foresee any immediate health problems, once the POA has been executed, they should make an appointment with their banker and/or financial advisor. Bring the agent along with to meet the banker. At the meeting, share copies of the POA documents and explain all of your concerns. This way, the Bank will have the POA on record and be aware of the agency (or possibility of the agency) long in advance, and there will (hopefully) be no surprises from the bank if the principal is disabled. There are some banking and financial institutions that insist on the use of their own forms for allowing an agent to have access to accounts or to do business on behalf of the principal. As stated already, a valid POA does not need to be questioned, and refusal by the bank could lead to its liability. But, perhaps these “in-house” forms can be dealt with at the time of this first appointment. As long as the in-house forms serve to supplement the POA, meeting the bank “half-way” should work. But be cautious. Some of these in-house power of attorney forms state that all previous powers of attorney “are revoked.” Such language could endanger the validity of the agency under the statutory POA. Language should also be included, either in the general POA, or in the in-house form, that any conflicting language between the two documents are resolved in favor of the client’s previously executed POA. But if the agent only discovers that the Bank insists on having the principal execute its own in-house forms after the principal is already disabled, how can the stalemate be solved? One potential answer might already lie in the body of the POA itself. For example, paragraph 4 of the Illinois statutory form authorizes the agent to delegate discretionary decision-making powers. 755 ILCS 45/2-8(d)(4). This allows for the agent to execute the in-house forms on behalf of the principal. In order to make sure this concept will work, I recommend adding this language to the POA form: that the agent shall have explicit authority to execute such excluded powers of attorney on behalf of the principal. In addition, I have also had clients recently complain about misunderstandings with banks when they have already had this initial appointment and introduced the POA and the agent to their bankers. Often, my clients will add the agent’s name as a co-owner, with signature power on their bank accounts, both for the convenience of allowing the agent access to the funds upon disability, as well as allowing the account to pass to the agent (if the agent is also an heir) without having to submit the account to probate at the time of death. (This is because property in joint tenancy passes to the surviving joint owner as a matter of law, and does not require probate to change ownership). In an earlier article, I have warned about the dangers of relying on joint tenancy as an estate planning tool (see Helping Seniors Avoid the Pitfalls of Do-it-Yourself Estate Planning), but joint ownership or “transfer on death” designations to facilitate the passing of banking or investment accounts to the next generation can be both prudent and convenient. The problem stems from how the banker understands what the client is trying to do. If the principal under the POA presents the document and introduces the agent, asking for the agent’s name to be added to the account, the banker will probably not presume the principal intends the account to be in joint ownership. Even if the agent is an adult child of the principal, the bank is going to be careful with the “ownership” designation. An agent under a POA is a fiduciary; the presumption is the agent will not and cannot use his/her position for personal gain. Therefore, the bank will not make the agent a joint owner with right of survivorship unless the principal makes this intention absolutely clear. Several of my clients have expressed frustration to discover that even when they have taken their elderly parent in to the bank to establish the agency relationship with the POA document, after the parent has died, the Bank will not give them access to the account. This is because the Bank presumed that the agency was all that was intended. After the principal’s death, the POA has no effect, and if the joint ownership was not properly established, the bank account will likely need probate to be transferred to the heirs. In any event, there is no reason a bank should reject a validly executed power of attorney, and if this happens, the threat of legal action might convince the bank to cooperate. However, if the problem can be avoided altogether by bringing the POA and the agency relationship it creates to the Bank’s attention in advance, then perhaps you can avoid these kinds of conflicts at a time when its essential to make sure your agent’s power to help you is completely unfettered. 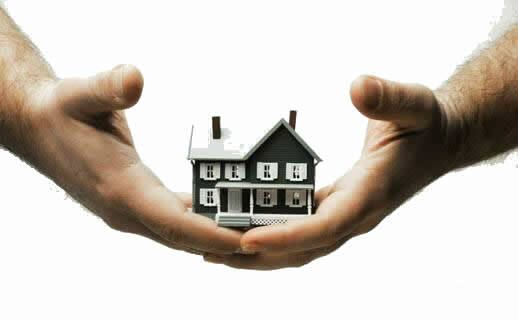 If you own your own home, odds are you financed the purchase of the real estate with a mortgage. Usually, the lender requires the buyer/borrower to escrow funds to assure the payment of real estate taxes and hazard insurance. This escrow is funded as part of the monthly mortgage payments — the amount the borrower sends to the lender will include not only the monthly amount of principal and interest, but a prorated amount of the full year’s real estate tax and insurance bills. 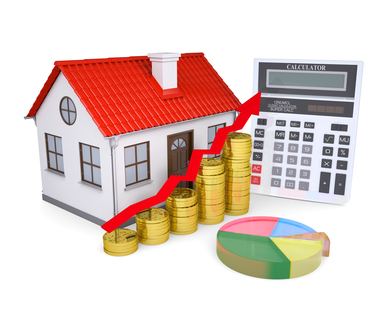 However, while the monthly amount paid for principal and interest is usually set for the life of the loan, real estate taxes and insurance bills will change from year to year (and, unfortunately, those amounts tend to always go up). 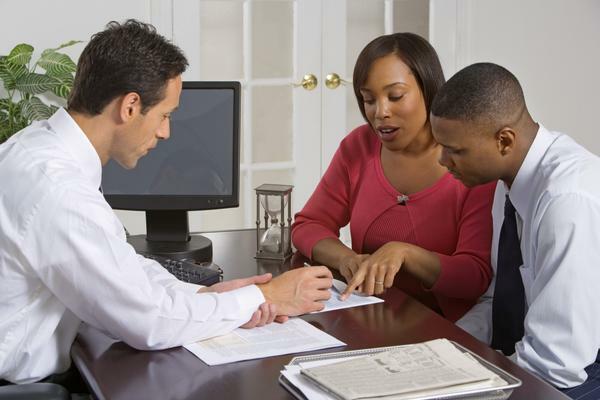 Therefore, the lender adjusts the borrower’s escrow amount annually. Lenders tend to schedule this annual review of a borrower’s escrow according to their own rules. It might be during the month of the anniversary of the date the borrower closed on the mortgage. It might be on a date the lender arbitrarily chooses each year. If taxes and insurance premiums have gone up appreciably, the lender will adjust the amount the borrower pays to cover the increase. The adjustment could be based on a variety of factors, but the lender will usually make projections based on past amounts, as well as making some future assumptions. The lender will use its own formula to figure this out, potentially leading to a shockingly large increase in a borrower’s monthly payments. To avoid this, borrowers should contact their mortgage lenders after receiving the actual tax bills or insurance premium invoices, and ask for an analysis and review of their escrow account. When the lender bases its projection on actual concurrent payment information, the borrower may be pleasantly surprised that the escrow amount paid each month might be lower. This is particularly true if the home is located in an area hard hit by the recent economic downturn. If the value of the property has fallen, and the increase in taxes (if there are increases) are not assessed at the same rate as in the past, there is a distinct possibility the lender will determine that the escrow payments can be less. Also, even if the analysis leads to an increase in the borrower’s escrow payments, that increase will likely be less than it would have been if the lender had relied on its own internal projection formulas. It is possible to have your monthly mortgage payment lowered because you have made a good-faith inquiry with your lender, requesting an updated escrow analysis. Even if this isn’t the result, and your escrow amount increases, at least it will be based on the actual tax bill or insurance invoice, which is at lease objectively justifiable and fair. All of us have people in our lives who are aging. Grandparents or parents, Uncles and Aunts, people we go to church with, or people we work with. Getting older always has the same consequences – bodies deteriorate, sight dims, hearing is more difficult. Reflexes are slower, aches and pains seem more pronounced, memory issues are frustrating. The decline may start when someone is as young as their mid-50s; others seem to avoid the ravages of aging well into their 80s or 90s But the process is inevitable. Often, a catastrophic or life changing experience will seem to hasten the decline. It could be an illness, the death of a spouse, or a major financial set back. The trauma and emotion of dealing with such a turning point seems to add years overnight to the lives of the seniors we care about. We want to help them. And often, that person’s perception of a sudden deterioration will cause them to scramble to get a grip on their lives when things seem to be careening out of control — and that includes “getting their affairs in order” to be ready when they die. Let’s look at a hypothetical but very real situation. Let’s take your average 45 year old man – let’s call him Joe. He’s married, has children, has a steady job and a positive outlook. He has a decent relationship with his parents, who are in their late 70s, and both retired. Suddenly, however, there is an unforeseen turn. Joe’s mother falls ill, and before he can even wrap his mind around the enormity of the situation, she dies. Joe’s father is devastated. The sudden and unanticipated nature of his wife’s death seems cruel. He becomes angry and sullen. He retreats into himself, spending most of his time just sitting in front of a television, not socializing much, not seeming to care. In addition, as the months pass, Joe notices an obvious decline in his father. Its not just depression and mourning. Joe’s father is not taking care of the house. He never seems to have any groceries on hand, or seems to be eating all the wrong things. Joe notices important past due invoices in the stacks of unread mail that are collecting in various places in his father’s house. He also sees his Dad carrying large sums of cash, rolled up in his pockets. Dad explains that he wants to be sure he has enough money; he doesn’t want to be caught short. Joe is concerned this could make his increasingly frail father vulnerable to theft or financial exploitation. Joe is at a loss as to how to approach his Dad to try and help. But Joe’s father beats him to the punch. Joe’s Dad invites him over for an important talk. Joe’s Dad realizes he’s having trouble managing things, particularly his finances. The loss of his wife has also caused him to feel his own mortality, so he wants to talk about the future, and what will happen after he dies. Joe’s Dad has a plan. He’s been talking with his buddies at the restaurant where he hangs out at on Saturday mornings, and knows exactly what needs to be done, First, he wants to add Joe’s name to all of his bank and investment accounts, so Joe can make deposits and withdrawals, write checks, pay the bills, and help his father keep track of and manage his finances. As for all of the “stuff” he has in the house – that is, his tangible personal property, Joe’s Dad wants to make a list with instructions for how it will be divided among Joe and his siblings after he dies. Then, there is the matter of the house. The mortgage has long been paid off, so Joe’s father owns the place, free and clear. He announces he will simply add Joe’s name and the names of each of Joe’s siblings to the title of the house. This way, when he dies, his children will be sure to inherit the house, and they can deal with it however they want. He’s already gotten a form for a quit claim deed from one of his friends. He insists that a lawyer doesn’t need to be involved. “Let’s keep it simple,” he says. He is determined that there is no need for an expensive estate plan created by an attorney. Joe’s father feels his “do it yourself” estate plans should be enough to carry out his own wishes. Joe is a bit perplexed. It seems like at least some of his Dad’s suggestions will be helpful. But will carrying out his father’s wishes be the right thing to do? Are these even good ideas? Each of the three things Joe’s father wants to do represent concepts in estate planning that often do not, or cannot work out as planned. Each is fraught with difficulty and potential negative consequences. Potentially devastating results could be avoided if Joe’s father would consider consulting an attorney for a simple estate plan. First, consider the issue of the bank accounts. It is not uncommon for an older person to rely on the assistance of a responsible adult child to help manage their finances. Adding a child’s name to accounts with signature authority is a simple, practical way to make this happen. But if that’s all Joe’s Dad does, there could be disaster waiting after his death. Usually, adding someone’s name to a bank account makes that person a joint owner of the account, with full rights to withdraw the funds — its joint ownership in every sense of the word, with right of survivorship. Where such a joint tenancy account with a right of survivorship is created, there is a presumption that a gift is intended. Upon the death of one person, the other person becomes the sole owner. The funds in the account are not considered part of the decedent’s probate estate because they pass as a matter of law to the surviving joint owner. But that may not be what Dad intends. Perhaps Dad did not intend for Joe to get all of the money in his accounts when he died. Instead, Dad wants Joe to divide it equally among all of his children. He only put Joe’s name on the account for the convenience of Joe helping manage Dad’s finances. The law presumes this money will be a gift to Joe when Dad dies. But this presumption can be rebutted — but only by clear and convincing evidence that no donative intent existed at the time the joint tenancy was created. This creates the potential for a great deal of misunderstanding after Dad dies. Joe’s father adding Joe’s name to his bank accounts creates a two sided trap that often results in extremely nasty litigation. On one side, Joe (who now is in control of Dad’s finances), can manipulate the situation so that he winds up with a significantly higher percentage of the estate, or perhaps all of it. After his Dad’s passing, Joe will argue that the legal presumption of the gift must stand — to the detriment of all of the other siblings. And because of this presumption, it is very difficult for Joe’s siblings to prove Dad’s actual intent. On the other side is the concept where Joe’s Dad truly does intend to reward Joe with a bigger share of the estate than his siblings. For example, maybe Joe ends up opening his home to his Dad, and Joe’s family is providing care for his Dad through his later years. So Joe’s father arranges to have a larger portion of his funds placed in joint tenancy with Joe, intending for Joe to get every penny, and intending that it be to the detriment of Joe’s siblings. After Dad dies, Joe’s siblings may rise up in righteous indignation, believing Dad must have intended otherwise, and that they deserve more. What about the written instructions as to the distribution of property? While Joe’s father might believe that Joe and his siblings will honor his wishes, there is nothing to stop Joe to do whatever he wishes with the property. This is because under Illinois law, any written disposition of a decedent’s property that is not part of a validly executed Will is unenforceable. Indiana law has provisions to enforce this kind of estate planning, but only if Dad strictly adheres to the statutory requirements. Even then, in either case, all Joe has to do is destroy the written instructions as soon as he locates them, and then divide the property as he wishes. There is likely to be no independent verification of Dad’s intent. Joe’s father’s decision to use the Quit Claim deed to add his children to the title of his house is the most dangerous of all these concepts. First, a quit-claim deed only transfers the owner’s actual existing ownership rights in the property – it offers no guarantee that Joe’s Dad’s title interest in the property is valid. A warranty deed, however, offers the grantees more certainty as to what they are getting. A warranty deed promises that Dad owns the land and has the right to transfer it to Joe, that no one else has an interest in the land unless identified in the deed, and that if a claim is made against Joe’s interest in the land after the transfer, his father (or his father’s estate if he has died) is obligated to defend the title in court. If any of these promises turn out to be false, the grantee can potentially recover for the loss. Quitclaim deeds make no such promises. If there was a break in the chain of title years before Dad acquired the property, the title insurance Dad obtained when he purchased the home will not protect against the quit claim deed. Other quitclaim issues include the perceived informality of using a quitclaim. A layman like Joe’s father might prepare the deed so it appears to be a forgery, or include an incomplete or inaccurate legal description of the property, making the transfer void or creating a cloud on the title. If the property is mortgaged, will the new owner be responsible to pay the mortgage? If Joe’s father expects such an arrangement, especially if its an informal oral promise, he will remain responsible to pay the mortgage should the children default. Also, a child’s bad credit could become Joe’s Dad’s problem, even if he an excellent credit rating. Making his children a co-owner means their judgment liens become his judgment liens. Mortgages often contain “due on sale” clauses, so that a transfer of any part of the ownership of the property without the lender’s consent is a default, meaning the lender can foreclose. While Federal regulation prevents this result if the property is the homestead, other properties are subject, and if the new owner can’t afford to pay off the debt or refinance, the property could be lost. Joe’s father might also believe he can hide his own ownership interest in this kind of a transfer, or avoid creditors with a quitclaim. Sorry, it doesn’t work – a quitclaim deed does not extinguish judgment liens. Finally, if the house is worth more then $14,000.00, or the aggregate of $14,000.00 for each child Joe’s Dad includes in the deed, he could be liable for Federal gift taxes. If the house were to pass as an inheritance after death, the potential estate tax rate is lower than the gift tax, and the capital gains tax realized when an heir sells the interest in the property will likely be less. Hopefully, Joe is smart enough to take his Dad’s concerns and plans to an experienced estate planning attorney. He would learn that the only document conveying his Dad’s intention that is enforceable after his Dad dies is a validly executed Will. Better still is a plan that includes a land trust or a revocable, intervivos trust (often called a “Living Trust’), which can make the transfer of the real estate after death a simple and painless concept. We need to help our parents and grandparents avoid the pitfalls and traps that do-it-you-self estate planning will bring. The end result is almost always simpler, easier, and less expensive. I encourage anyone who is “feeling their age” to consult with an attorney for a valid, carefully considered estate plan. But older folks aren’t the only ones who need to consider estate planning. Any adult needs to think about it. Estate planning is not just for the wealthy. It’s not just for parents who need to provide for children. It’s for everyone. Estate planning is planning for everything you own and everyone you care about, including yourself. In future installments of my blog and newsletter, we will visit more estate planning topics and considerations. Because even if a person doesn’t make a plan, there is a plan provided under the State’s intestacy laws. These laws are often at odds with what people intend and want. Please – don’t allow your parents or grandparents to rely on a do-it-yourself estate plan. And don’t allow yourself to fall into the same trap. Only a properly drafted and executed estate plan will ensure that your wishes will be carried out after you die. The Department of Labor has just released its newest publication – “The Employer’s Guide to the Family and Medical Leave Act.” This new FMLA Guide appears to be an an attempt to make the FMLA more “user friendly” to employers. 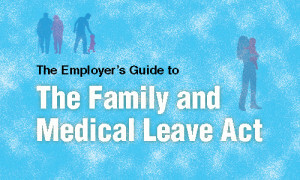 The guide appears designed to help walk employers through the FMLA process. The Guide follows FMLA regulations as an employer will experience them, starting with determining who is a covered employer through charting the typical course of an employee’s request for leave. The Guide is easy to follow and informative. One of the highlights is a very useful flowchart, the “Road Map to the FMLA,” which provides a concise explanation of the whole FMLA process. Some might also find it entertaining, with interactive cartoons to help explain the regulations. One of the most common mistakes I see among my clients who run businesses with employees is the tendency to react to leave requests in a “knee-jerk” manner, with employers trying to grant FMLA leave before first determining eligibility of the employee for leave. The roadmap is an excellent reminder for running through the process of making sure that the employer is even covered by the FMLA, and then if the employee is actually eligible for leave. For example, some employer clients will grant a medical leave but not realize that the employee is not eligible because of a failure to have worked enough hours, or the employee’s worksite is not covered. I believe this guide will prove to be the “go-to” reference for smaller companies and HR professionals. Of course, any time employers are not sure how to interpret the FMLA , they should consult legal counsel. At the same time the Department of Labor announced the publication of the Guide, it also announced that employers will be required to display a new FMLA poster. The Department has yet to publish the new poster, but insists it will contain nothing new. The poster is also supposed to be more “user friendly.” version. I will try to update my clients when the poster is published. Most people think they don’t need a Will. But when you die, everything you own in your own name alone will be subject to Probate. While there are some ways to get around the Probate process even when people don’t have Wills, this generally only works when the person who has died doesn’t own real estate. Even then, the limitations for transferring property out of a deceased person’s estate in Illinois caps out at $100,000. In most cases, when someone’s total estate is worth more than $100K, or that person owned real estate, Illinois law requires a probate estate be opened. Someone might argue that often times, even WITH a Will, there is a need for Probate. But there are key differences. One such difference is the need for a bond. Wills routinely have clauses in them which allow the Executor to serve without a bond. Without a Will, however, the Court will require the Estate’s representative obtain a bond. Essentially, this is an insurance policy, protecting the potential heirs of the Estate from a representative who might not act with care and diligence, or might actually steal from the Estate. Depending on the size of the Estate, such a bond could cost the Estate hundreds, even thousands of dollars right off the top. A simple Will with a clause allowing for the executor to serve without bond solves this problem. That money is saved! While some folks would argue that going through the trouble of estate planning and preparing a Will is expensive, it actually can be quite cost effective. It’s that time of year – the end of August. 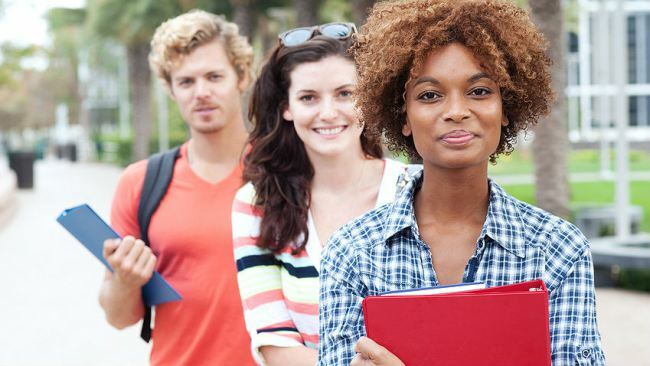 If you are the parent of a college student, you’ve either already moved them into their dorm rooms or apartments, or will be doing so by the end of the first week of September. The move to college takes a lot of planning – your college student has had to make sure they have what they need – clothes, school supplies, bedding, computer, refrigerator, etc. You’ve probably helped them make sure they have everything they need to be ready for the upcoming semester. But have you thought of everything? What would happen if your child became ill or was injured, and you needed to contact them? What if the worst happened and your student was missing? How would you get the information you need to help them, or to find them? The problems I have just mentioned are exacerbated by the fact that most freshmen in college either are, or soon will become 18 years old. In other words, they are legally an “adult.” Therefore, if you as a parent are to have the authority or ability to get the information you need to help your child in need, your 18 year old child needs to give you the legal authority to act on their behalf should they become disabled and unable to communicate. Why? Because health care providers and the colleges your child attends consider your child an adult when it comes to decisions relating to health care and school records. Add to this the ramifications of the Health Insurance Portability and Accountability Act (known by its infamous acronym “HIPAA”), and health care providers become loathe to disclose any information about your son or daughter. This shouldn’t happen. The HIPAA privacy regulations offer exceptions which give health care providers some “common sense” discretion to disclose “personal health information” to “a family member, other relative, or a close personal friend.” (45 CFR 164.510(b)). This rule goes on to specifically allow a provider to use its professional judgment and experience with common practice in deciding whether and what to tell such persons. But many providers overreact, and interpret HIPAA’s privacy protections as an absolute barrier to all disclosure. This leads to absurd results. For example, a client told me about a college sophomore who traveled to an “away game” for the school’s hockey team. This young lady was somehow injured at the game, and transported by ambulance to a local hospital. The student’s parents were notified that their daughter had been hospitalized, but no one was willing to disclose where she had been taken, or the extent of her injuries. Those parents spent a sleepless night worrying until their daughter contacted them the next morning, fortunately not seriously injured. How can parents avoid this? By having their college aged children execute a durable power of attorney (or “POA” for short). This is a legal document that permits the child to appoint a parent (or other person) as agent to carry out certain functions and make decisions in their place. It is a simple, “fill in the blank” form that is completed and signed – no court order or other action is needed (though I do recommend consulting an attorney — the instructions in the body of the document should be tailored for the specific situation). Under Illinois law, a Durable Power of Attorney for Health Care permits your child to appoint you or your spouse as an agent while expressing their per­sonal wishes about health care decisions in the event they become incapacitated. In addition, I recommend executing a Durable Power of Attorney for Property to cover issues relating to school records (e.g. in the event of an emergency when the child is unavailable or missing, the school clearly understands that it is the child’s intent to allow information to be given to his/her parents). Besides HIPAA, there is another federal statute known as FERPA (the “Family Educational Rights and Privacy Act”), which protects the privacy of student education records. Most colleges are proactive in providing students with FERPA waiver forms to allow parents access to school records, but careful drafting of the POA for Property can expressly give parents access to any school records or be able to talk to any professor or other college employee in order to get critical information about your child. Some students might balk at the idea of their parents having access to their records, but these documents can be personalized to only allow such access in the event of an emergency. I currently have two children in college, and I have personally assured them regarding this limitation, and have respected those boundaries. But the usefulness of this kind of planning can go beyond emergencies. For example, if a student has a chronic health problem or a disability, the parent, as an agent under a POA, can be more involved with on-campus health services and the student’s instructors to monitor progress. While the exceptions to the HIPAA privacy regulations should allow parents to receive critical information about the medical treatment of their adult college-aged children, a properly worded and executed power of attorney gives parents the specific, direct authority to overcome the misinterpretation of privacy rules. I recommend that parents of college aged children arrange to have their kids execute the appropriate powers of attorney as they begin school in the fall, and have copies filed with the appropriate authorities and health care providers on campus. Then, they can head off situations like the one I described, and be assured that whatever happens, they will be “in the know” regarding their child’s status while away at college. © John R. Russell, Ltd.